Earlier in the week we took a look at some great credits sequences in games. To wrap up the work week here at SuperPhillip Central, there is a completely new series of articles that makes the rounds. The best games have a terrific opening to hook players into playing them. This new series of articles delves into the absolute best openings ever seen in gaming history. These can be completely cutscenes or they can be interactive. For part one of this list, we'll be dealing with the former. Click on the game name to watch the opening mentioned. One of the most intense openings on this first part of this list, Final Fantasy VIII's opening is an epic menagerie of pulse-pounding scenes and imagery. From the beginning with the words protagonists and love interests Squall and Rinoa say to one another later in the game to the sensational battle of blades between Squall and Seifer which leads to both men receiving permanent scars on their faces, the opening of Final Fantasy VIII ups the pageantry and drama immensely. This is all while the excellent Nobuo Uematsu composed vocal theme Liberi Fatali plays. It all adds up to an unforgettable opening in an otherwise flawed, but still enjoyable, Final Fantasy game. "What was the start of this? When did the cogs of fate begin to turn? Perhaps it is impossible to grasp that answer now, From deep within the flow of time..." And with those words do the slow and steady start of Chrono Cross' opening begins. After the poetic words wrap up, the instruments and rhythm kick in, as do the gorgeous visuals. Through a series of brief glimpses at events that happen throughout the game, the icing on this enticing cake is Yasunori Mitsuda's brilliant composition, Time's Scar, also known as Scars of Time in some parts of the net. Chrono Cross isn't a perfect game, but if the quality of the title was as good as the opening throughout, it certainly would have been. Wrapping up our look at original PlayStation game openings, we have Mediavision's Wild ARMs opening to enjoy. This opening is unlike the prior two as it is devised up of sleek and stylish anime visuals instead of computer-generated graphics. The animation is top-notch, and the theme song heard invokes memories of the Old West, fitting for Wild ARMs' Western world mixed with sci-fi. The opening shows interactions between all three main characters of the game, Rudy, our silent protagonist; Jack, our treasure hunter; and Cecilia, our magic user. The combination of glorious anime visuals, awesome imagery, and sublime music makes for a memorable opening. We move away from serious openings to something more comical with this upcoming pair of Mario sports title openings for the GameCube. The first of which is Mario Golf: Toadstool Tour, colorful and great playing arcade golf game featuring the lovable Mushroom Kingdom cast. This opening shows Wario and Waluigi up to know good in very hilarious ways. Whether they're putting opponents to sleep in how long they take to sink a putt to being chased by Bowser due to hitting him with a stray drive, this dastardly duo definitely gets their just desserts in this incredibly humorous opening. Certainly makes the effort (or lack thereof) that went into Camelot's latest sports title, Mario Tennis: Ultra Smash look all the more disappointing. Wario and Waluigi just don't know when to quit, do they? After earning their comeuppance in Mario Golf: Toadstool Tour's opening, the two are at it again in the opening of Mario Power Tennis. Angry over their initial loss to the team of Mario and Luigi, Wario and Waluigi add some graffiti to the Mario Bros' tournament picture, resulting in getting some undesired attention by some police robots. The robots humorously chase Wario and Waluigi all around the Peach Dome before the two escape by entering a door. This door leads them to Bowser's secret training room where the King of the Koopas put the pair through the wringer. Through the torturous training, Wario and Waluigi feel strong enough to take on Mario and Luigi. However, instead of a traditional tennis match, the pair launch Bob-Ombs from a tennis ball shooter at the Mario Bros. All heck breaks loose with explosions everywhere, including one that destroys Bowser's flying blimp and Wario and Waluigi in the process. The comedy is rich in Mario Power Tennis, and the game itself is one of the better ones of the series. Sometimes all you need is some simplicity to have a memorable and awesome opening. 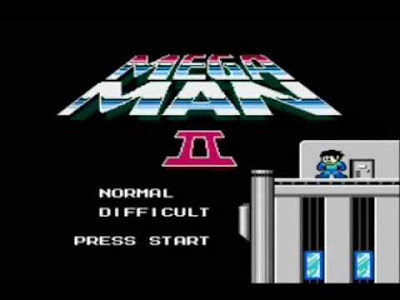 That's at least the case with Mega Man 2's opening. It tells the tale of how Dr. Wily was defeated in the first game, and how he plans his revenge through creating eight of his own Robot Masters. What follows is the screen rising upward along the side of a tall building. At the very top stands Mega Man against the night sky, hair blowing in the wind. The riveting title music plays, energizing players to go on a new adventure with the Blue Bomber.